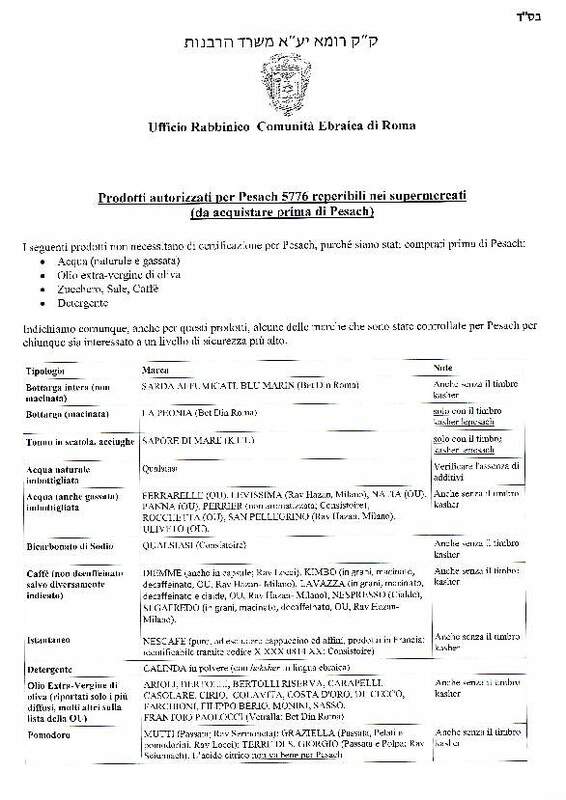 (o comunque “assimilabili” non osservanti la proibizione delle kitniyot). All unflavored bottled water, seltzer and sparkling water is Kosher for Passover, even without any Kosher supervision. 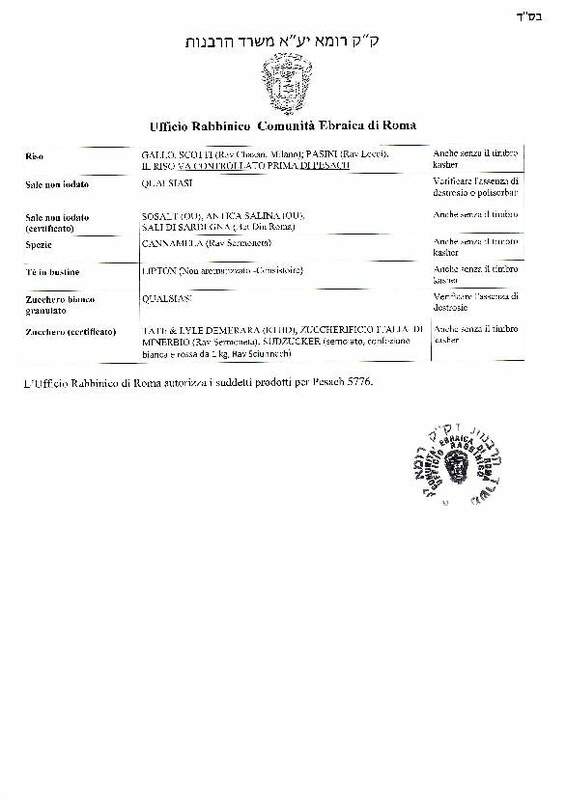 DENTIFRICIO (WCRC) : Any commonly used brands. Aim,Aqua-Fresh, Colgate, Crest, Gleem, Pearl Drops,Ultra Brite, Adwe, Florimint and Kasher-dent in any flavor. Unflavored tea bags (including black, white, and green) are acceptable for Pesach without special supervision. : Yellow et Thé vert nature en sachet pyramide. Milk contains added vitamins that contain a slight chametz risk. Therefore it is best to purchase milk before Passover at which time chametz can be nullified (batel). MIELE (WCRC): All 100% pure honey. Maïs doux, Maïs à Poêler - (sans adjonction de petits pois ou poivrons). 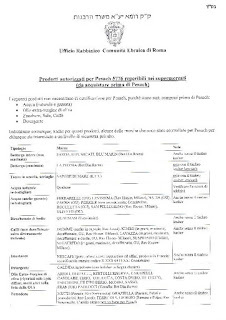 OLIO PER CUCINARE (WCRC) : All brands which are Kasher for year-round use. Do not worry about the enzymes. McCain Jackets Potatoes are kosher for Passover and do not have to bear an SKA logo or have a Passover sticker. This does not apply to any other McCain products. : rond et long non étuvé. RISO (WCRC) : Rice does not need to be Kasher Lepessach and as long as it is checked very well or as the Syrians do it, checking grain by grain 3 times well. Any raw rice is permitted. However, if the rice has additives THAT MAY CONTAIN HAMETS, then it needs Hashgacha. If there are no questionable additvies, then there is no problem. Iodized salt is often processed with corn (kitniyos) and requires Passover certification. Non-iodized salt does not require Passover certification, nor does sea salt. 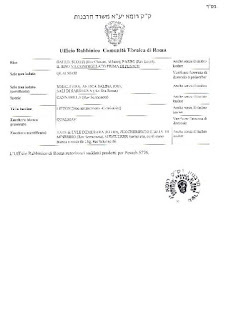 NOTA : la questione delle kitniyot riguarda,ovviamente,quanti seguono questa regola (quindi,ad esempio,non i sefarditi). (mais pas les substituts de sel interdits).